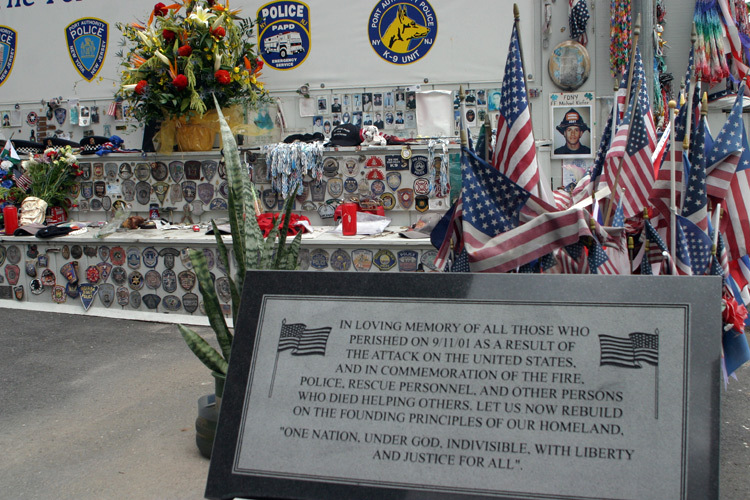 A memorial inside of Ground Zero dedicated to the rescuers of September 11th. "In loving memory of all those who perished on 9/11/01 as a result of the attack on the United States. And in commemoration of the fire, police, rescue personnel, and other persons who died helping others. Let us now rebuild on the founding principles of our homeland. 'One Nation, Under God, Indivisible, With Liberty and Justice for All'".